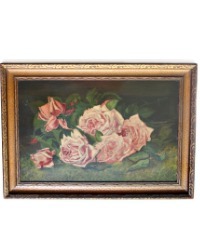 Exquisite Antique Floral Still Life Oil Painting, of gorgeous Roses, this is the kind of painting we are all always on the hunt for! 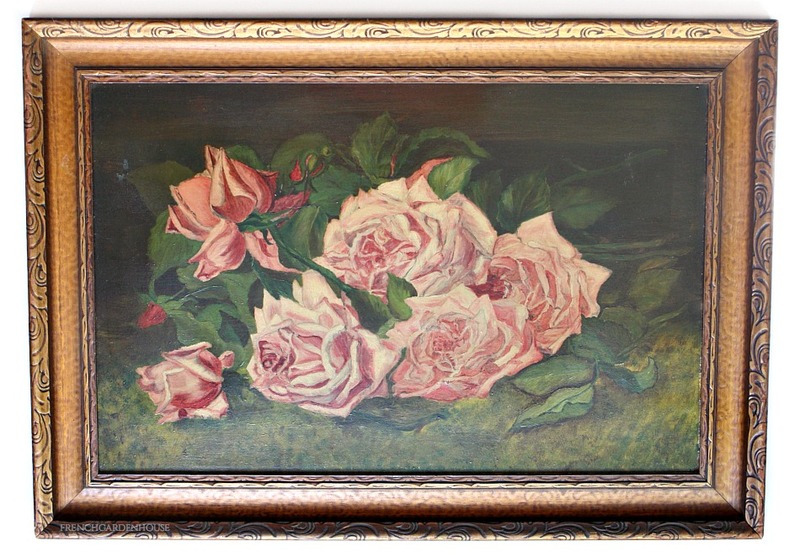 This original Oil Painting dates to the turn of the last century, late 1800's, early 1900's, and features a glorious arrangement of soft romantic roses in pinks. 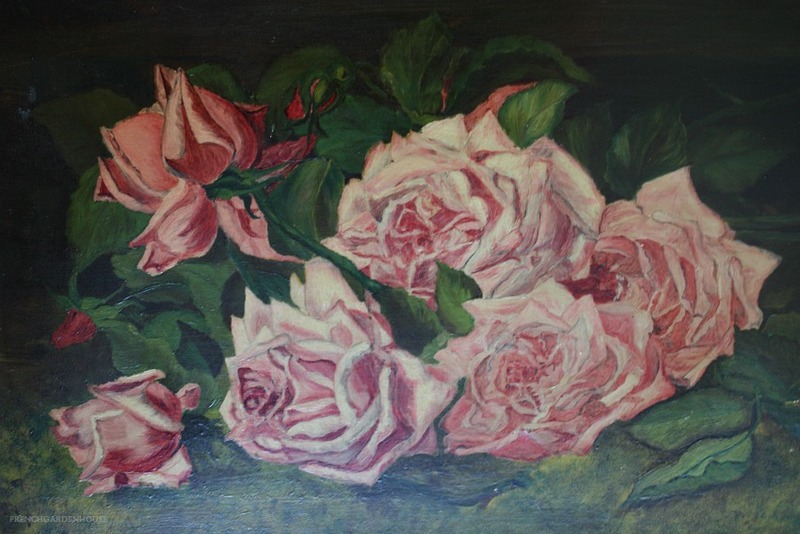 This will delight a rose enthusiast, gardener and art and flower lover. 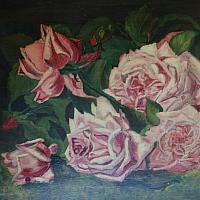 Well painted, remniscent of the exemplary floral painters of the day, Paul de Longpre and Catherine Klein. 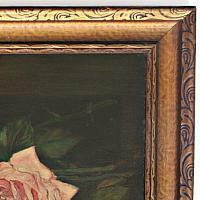 Glossy finish, this decorative beauty is framed in a large gilt wood frame, the painting is on artist board. These days it's rare to find a painting like this in this condition. 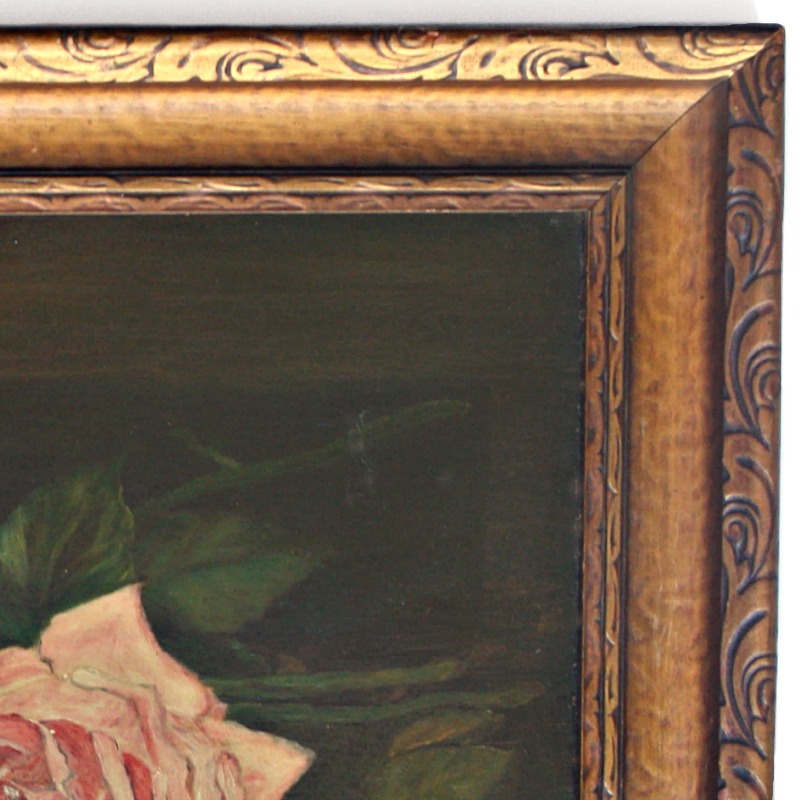 Unsigned, this is an alluring and intriguing example of this genre, this large original work of art is a beautiful addition to any collection, or the beginning of one.